Due to some requests, I’ve finally decide to do something I wouldn’t have. Thanks to any feedback, good or bad to improve the situation. A fresh new version of the FGLRX driver has been released by AMD, and thus packaged and available for all of you. Next month, AMD promise to release a stable version. I would like to thanks again Sebastian Siebert for his effort to kept FGLRX in a good shape for all of us. To make things clear about the status of the drivers, it will not be published under the normal stable repository http://geeko.ioda.net/mirror/amd-fglrx. I’ve created some times ago a beta repository located at http://geeko.ioda.net/mirror/amd-fglrx-beta. Let the system upgrade the package, and try to enjoy the new beta. Finally, openSUSE Linux 13.1 has been released. 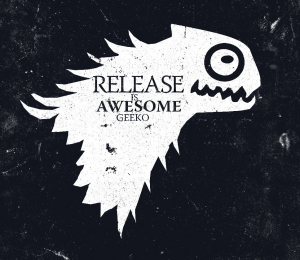 It has been 8 months since the release of 12.3 in which we’ve been working in a lot of things, but specially in the last weeks, all the geekos have been quite busy trying to make it our best release ever. And we hope it shows. Can I ask you to help to spread the message to the world, so anyone who has an interest in having FGLRX could find the information. I will update the wiki to point here. But mailing lists, social media, forums are up to you! Just a quick note before openSUSE 13.1 hit the street. Sebastian Siebert is trying to build and fix issues (essentially with 32bits) founded in the beta6 version of fglrx. Once that will be done, I should be able to deliver a new version of the fglrx drivers in the beta repository. He also ask, like several of us AMD when they would like to release it: there’s no answer to that. So what does that mean. The old 13.4 stable version from April, will NOT work with openSUSE 13.1. That’s why you will not find any driver in the stable repository. For owners of old HD2xx-HD4xx, don’t dream, the legacy driver didn’t get update, so your choice is easy, use open source radeon driver. I just hope I’m wrong in my feeling that we will have to wait until January, the launch of AMD new processor & apu. Autotools, autotools and once again autotools. Years ago I started with autotools I thought, ‘Hey someone has really get into linking and compiling’. I was sold for a while and tried to learn it inside out. Then I understood that I will never be good at autotools (So I started to go to gym instead). M4 macro language it is not my thing.